The Latin American presence in Singapore for the Asia TV Forum (ATF) international market is impressive, as usual — not so much for the number of exhibiting companies, but for the total programming hours sold to the Southeast Asia region. This year, the 17th annual ATF will be held December 7-9 at the usual Marina Bay Sands Convention Center, with a pre-market event on Tuesday, December 6. So far, the LATAM presence amounts to some 10 exhibitors covering five countries, including Telemundo, Televisa, Brazil’s Record TV, as well as Colombia’s Caracol. However, of the conferences so far scheduled at ATF, not one deals with Latin America or features a panelist from that region. Among the other regions heading to Singapore are Turkey’s Global Agency, ATV and Kanal D; Canada’s Breakthrough, which will be represented by Jodi Mackie, and Blue Ant with Michael MacMillan and Kate Blank. The Filipino delegation includes ABS-CBN, as well as GMA. Manuel Paolo Laurena of GMA stressed the fact that even if ATF is the last market of the year, it also opens up the contacts and deals for the following year so it’s a market that is very valuable for them. A first-timer is Fox TV Distribution, which will be joining other U.S. studios, such as NBCUni, Disney, CBS and Viacom. Even though Reed Exhibition, a commercial company, organizes ATF, the event is heavily supported by the Infocommunications Media Development Authority (IMDA), the city-state agency for audiovisuals affairs. IMDA is the resulting government agency from the merging of Infocomm Development Authority of Singapore (IDA) with the Media Development Authority (MDA). IMDA is also promoting the two-year old Singapore Media Festival 2016, Southeast Asia’s main international media festival, of which ATF is a part. 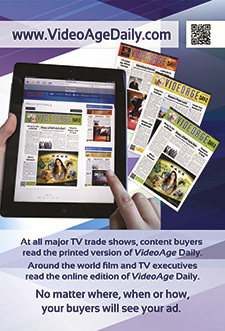 However, if ATF’s future looks promising, currently Latin American exhibitors and exhibitors from other Western countries travel to the Singapore TV market with just with one or two executives. Some companies tour the region before or after attending the event.